Shark Bay's World Heritage Area is outstanding on a global scale, on par with some of the most famous natural treasures on earth. To be listed for United Nations' World Heritage an area needs to meet only one of four criteria. Of the 166 Natural World Heritage sites on our planet, only 19 meet all of the criteria, among these sites are the Galapagos Islands, the Great Barrier Reef, the Grand Canyon, Yellowstone National Park and Shark Bay. 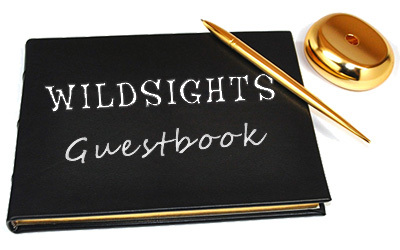 Now you can discover the secrets of this unique and awesome wilderness. Enjoy a highly personalised (maximum 6 guests), fair dinkum, off-road experience with a local guide in an air conditioned rugged 4WD vehicle. Travel through an untouched, spectacular, special piece of earth, right where Outback Australia meets the coast. Venture into the outback bush, down wild tracks, over rolling red sand dunes, through dense Acacia shrub-lands, along magnificent bluffs and deserted beaches. You'll be knocked-out by stunning scenery, wildlife and endless beaches (a photographers delight). You'll be amazed to learn that unimpressive vegetation is often food or medicine. You'll discover the survival secrets of how to navigate by the sun; find water and bush tucker. It's a hell of a way to discover the cultural history of Shark Bay and it's sensational scenery, fascinating plants and animals as well as learn bush survival skills. On tour some of the stunning trees you'll meet are the life-saving Kurrajong tree, the endangered Sandalwood tree and the Acacia tree in it's many guises. This was sheep country. Yet it's an area of only seasonal grass.You'll find out how the sheep survived. You'll also learn the ingenious method used to bring the sheep in for shearing. 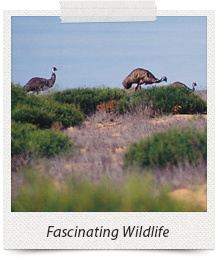 Year round Shark Bay teems with birds. In September migratory birds return from the Northern Hemisphere boost numbers. Our best count in one tour, is 39 different species. 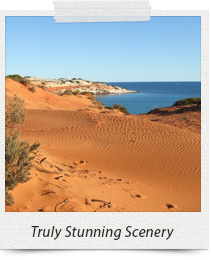 July, August and September are wildflower months and Shark Bay has the longest wildflower season in the state. In full bloom the place looks as if it has been doused with a tin of rainbow paint. The warmer months bring out the reptiles – monitors, geckos, skinks, dragons and the fabulous Thorny Devil. See the Francois Peron Peninsula on a fascinating, highly personalised tour (maximum 6 guests), backed by your unconditional, 100% money-back guarantee, "Love it or it's free"
By taking a 4WD tour with us, you also qualify for a 25% discount fare on an award winning, Monkey Mia wildlife sailing cruise aboard the awesome, 60ft(18m) sailing catamaran “Shotover”. Take the full day Francois Peron National Park 4WD Tour, plus the 3 hour “Sail with bunch of Animals Cruise” and enjoy a 1.5 hour sail on “Australia's Last Sunset Cruise”. All three experiences for only $279.25 / person only when booked online using promo code “BROCHURE”. 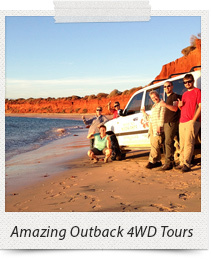 Save yourself $83.75 on 4WD & cruise package, only by booking online.